Complete your continuing education to renew your Mississippi real estate license today. All of our courses can be completed At Your Pace online in order to help you maintain your license. Once you finish your class you will have an official certificate of completion available and we will report your course completion to the commission for you automatically. 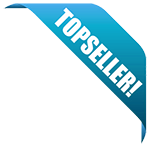 We are approved by the MS Real Estate Commission as an online CE provider. Most Real Estate Licensee's in Mississippi are required to obtain 16 hours of continuing education for each 2 year license cycle. Of those 16 hours, 8 hours must be on Core Topics, and the other 8 must be on Elective Topics. This 16-hour course is specifically designed to meet all your requirements to renew either your Broker or Salesperson license. It includes 8 hours of core topics and 8 hours of elective topics. 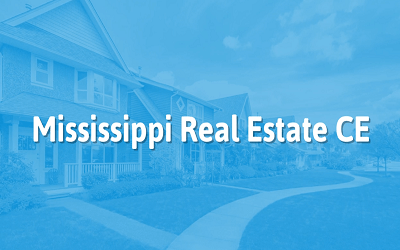 This 8 hour package of educational content is designed to provide Mississippi real estate professionals with an overview of important topics and concepts related to the ownership and management of real property. This package covers topics such as basic property law, legal descriptions of property and more! This 4-hour core class is approved to meet your Laws of Agency Core hour requirement. It will will cover the Common Law of Agency, and the Mississippi rules and statutes that govern the conduct of agents. This 2 Hour Core class is approved to meet your Contracts Core hour requirement. It will cover the Requirements for Creating and Enforcing Real Estate Contracts. This 2 Hour Core class is approved to meet your License Law Core hour requirement. It will cover the Mississippi Rules and Statutes that Govern Real Estate Licensees and Declaratory Opinions.